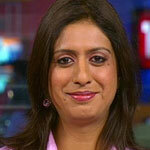 Panel 2 Changes needed in Gold policy in India? 1) Gold and Investment or Expenses for future - compare with various installment Schemes with Gold. 2) ETF or Physical Gold – which investor should opt? 3) Dumped Gold in India. 1)Gold Data whether Correct or Incorrect. 2)Opportunity in Gold Mining and Refinery in world. 3)World Gold Production VS World Gold consumption. 4)Business Growth in Commodity Exchange. Swarnshilp Chains & Jewellers Pvt. Ltd.
Equinox Trend Financial Market Pvt. Ltd.
A Science Graduate & hailed from the family and famous business House in Kolkata established by Bridhichand Gouti 225 years ago. Jute business, jute bailing press, export in jute products and Gems and Jewellery were among the various business traditionally handled by the family. Diversification into wholesale bullion business brought into existence the company M/s. 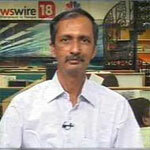 Surajmull Gouti dealing with wholesale trading in Bullion worth Rs.200 crores annually. Associated with Govt. of India, for selling bullion as sole selling agent for numerous years. Advisor in Gems for Govt. of India in 1988. Advisor to various nationalized bank for import of gold. Advisor for Gems to Govt. of Zambia from 1988 to 1992 and British Guyana Govt. in 1992. 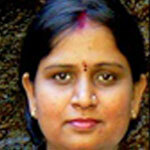 Advisor for Bullion Trading Association in India. 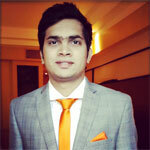 Advisor for Multi Commodities Exchange in India. 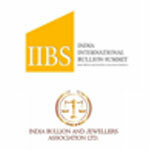 Director – Mumbai Bullion Exchange Association. Largest bullion dealer in Mumbai and Kolkata (India). M/s. Sumatichand Gouti Jewellers P. Ltd. Engaged in manufacture and export of traditional handmade Kolkata jewellery . Engaged in manufacture and wholesale supply of jewellery to Indian retail business house including Tanisq the famous house from Tata. M/s. SCG Export Pvt. Ltd.
Having large scale jewellery manufacturing unit in Kolkata, employing highly skilled artisans and experts in traditional handmade Kolkata jewellery. M/s.Transcon Builders & Constructions P.Ltd. Engaged in several mega housing projects in India. M/s. Inter Publicity Pvt. 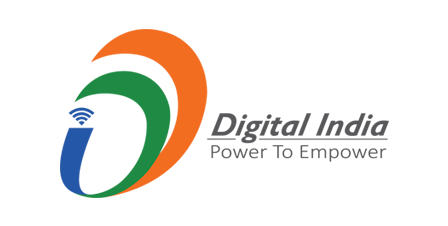 Ltd.
A marketing & Advertising Company in India Since 1964 having more than 250 experts, exclusive clients base and network in India and abroad. The Company Sumatichand Gouti Jewellers Pvt. 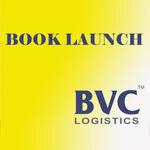 Ltd. & SCG Exports Pvt.Ltd. 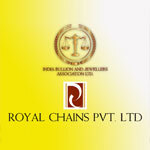 are the Member of Gems & Jewellery Export Promotion Council, Bombay Chamber of Commerce. The company Inter Publicity p.Ltd. 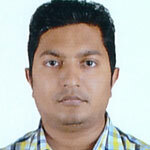 is the member of Indian Newspaper Society, AAA’I, International Advtg., Advtg. Standards Council, etc. Also the member of Cricket Club of India, Garware Club House, Taj Chambers, NSCI. Associated with several charitable organizations for promoting education, religious and cultural activities. 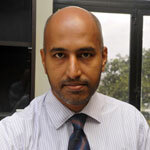 Vice President – Red Cross Society nominated by Govt. of Rajasthan, India. Associated with reputed jewellery industries Print Medias, electronic medias, real estate industries. A passionate person with the wish to dream and the will to achieve it. 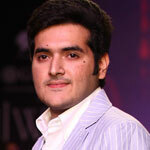 Mr. Mohit Kamboj in the year 2005 started his company called KBJ Jewellery Pvt.Ltd. and enhanced the group turnover to a degree that was not expected. 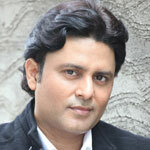 Mr. Mohit has put KBJ into Real Estate, Entertainment, Aviation and Hospitality. Today, Mr. Mohit has earned the reverence of the Uttar Bhartiya Award with eminent personalities appreciating the work of excellence displayed by him. He also has another achievement to his credit of being chosen as the director of The India Bullion and Jewellers Association’. 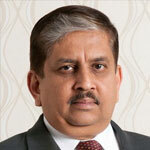 Mr. Prithviraj Saremal Kothari is a renowned name in the Gold, Silver and Platinum Bullion Industry. 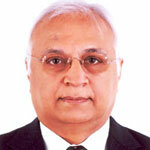 He has been instrumental in the development of the bullion market in India. A commerce graduate from the Mumbai University, Mr. Kothari has been in the family business of gold trading for over 30 years. As one of the promoters, he has almost single handedly steered RiddiSiddhi Bullions Limited to the top 10 unlisted public companies in India in terms of sales turnover as per BS1000. 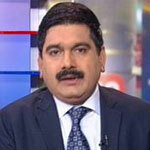 He has given some crucial advice to the Indian Government in helping them make the bullion markets more organized. 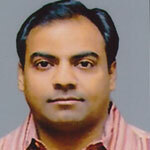 He has been the pioneer in introducing ‘Instant International price based INR denominated bullion trading in India’. 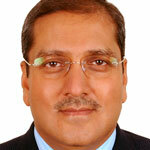 He has played a vital role in the introduction of gold ETFs in India. Under his vision, RSBL has successfully launched India’s first and only electronic over the counter bullion trading system, RSBL SPOT. 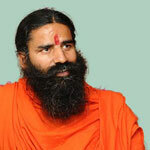 He has been felicitated with the prestigious Jain Ratna award twice, once by Honorable President of India, Smt. Pratibhadevi Patil on 13th March, 2012 and second time by Honorable Chief Minister of Maharashtra Mr. Prithviraj Chauhan on 23rd April, 2013 for contributing remarkably towards the well being and upbringing of the Jain fraternity. Not taking away his ever increasing achievements, he is not an ordinary Bullion Man or a dealer; he is an Entrepreneur who wants to revolutionize Bullion Industry. Jewellers & Bullion dealers only trade in Bullion but Mr. Kothari believes in turning one’s dream of owning bullion with the best price of the Industry. Director and Spearhead of various Companies under Jindal Group, a well diversified Business House having core business interests in International Trading, Manufacturing and Finance. Jindal Group of Companies is one of the leading Business Houses of the Country. The Group has an established presence in Bullion Business (Gold and Silver), Agro Commodities, Essential Oils, Chemicals and other Consumer and Industrial Goods. The Group has its Headquarters at New Delhi and has extensive network of branches spanning all over the country. Jindal Exports and Imports Pvt. Ltd. is a Status Trading House, Recognized by the Government of India and has won the Prestigious National Exports Award thrice. The Associated Chambers of Commerce and Industry of India (ASSOCHAM), India’s premier apex chamber covering a membership of over 1,00,000 companies and professionals across the country. It was established in 1920 by six chambers, representing all regions of India. Managing Committee Member of International Chamber of Commerce (I.C.C), The World Business Organisation. NATIONAL COMMODITY & DERIVATIVES EXCHANGE LTD. (NCDEX) – MEMBER “EXECUTIVE COMMITTEE – METALS”. Basic Chemicals, Pharmaceuticals & Cosmetics Export Promotion Council, set up and established by Ministry of Commerce, Government of India, in the year 1963 with the objective to promote exports of Basic Organic and Organic Chemicals, Pharmaceuticals, Dyes, Pesticides, Soaps, Detergents, Cosmetics, Toiletries and other products like Agarbattis, Essential Oil, Chemexcil has 7000 members from all over the country. Chemexcil has its Headquarters at Mumbai. Hold the position of Trustee, Shri Banwari Lal Jindal Suiwala Educational Trust, which has set up a College in Tosham (Haryana), a premier educational Institution for the residents of Sui, Tosham and nearby areas. Also, setting up and bringing up a Secondary School at Sui, for the upliftment and education of people of Sui (Near Bhiwani). Participated in various International Seminars and travelled extensively all over the world. Can conversant freely in English, Russian, Hindi, Punjabi, and Haryanvi and has the qualities of a good orator at seminars and debates. EDUCATIONAL QUALIFICATION : Graduate from Delhi University. To give strategic impetus and managerial oversight to business organizations at CEO or Board level by leveraging the rich experience and insights gained from my 39 years of working in the field of banking and finance. To effectively channelize my passion and experience in the area of Managerial Leadership so that business leaders of tomorrow are groomed and mentored. To develop enabling organizations through Leadership Development, Strategic Goal Setting and improved Managerial Efficiency, which are the functional areas that have been my forte in all these years. 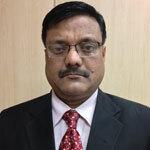 Chairman and Managing Director, Central Bank of India – from June 2011 to July 2013. The HR initiatives brought laurels to Central Bank of India and the Bank was adjudged the winner of GOLDEN PEACOCK HR EXCELLANCE AWARD 2012. The title of PERSON OF THE YEAR for contribution in the area of Financial Inclusion by SKOCH Foundation. 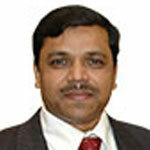 Mr Rajan Venkatesh is the Managing Director, and head of the bullion business of the Bank of Nova Scotia, India. ScotiaMocatta is the bullion division of the Bank of Nova Scotia. Mr Venkatesh is a Post graduate in Banking and Finance, an Associate of the Institute of Company Secretaries of India and a Certified Associate of the Indian Institute of Bankers. Mr Venkatesh has been with Scotiabank for the last more than twenty five years and has held various senior positions in the Bank. Mr Venkatesh is responsible for the bullion business of Scotiabank in India since 1998 and has been actively involved in the development of the bullion market in India. Shri Suresh Prabhu has often been described by many as that “un-common whiff of much needed fresh air” on the horizon of Indian public life who is not only armed with education, ability, understanding, high integrity, zero corruption but also with delivered milestones. An all India rank holding Chartered Accountant armed with a Law degree Shri Suresh Prabhu is amongst those admirable names in public life with emphasis and jest for academics. The same zeal drives him presently to pursue two PhD.programs in climate change and economics in Germany and Mumbai,India respectively. He has been awarded Honorary Doctorates in India and abroad,including in Latin America. As a Union Cabinet Minister with the government of India he has managed six ministries including important portfolios like Industry, Environment and Forest, Power, Chemicals &Fertilizers, Heavy Industry & Public Enterprises & ILR. During his remarkable tenure he introduced landmark legislations and policy initiatives leading to transparent, participatory administration and was adjudged as the “best performing Minister” and was an integral part of the highest decision making body of the National Democratic alliance led by Prime Minister Shri Atal Bihari Vajpayee. He has participated in several track 2 strategic dialogues with key nations. Shri Prabhu was also the Chairman of the path-breaking river inter-linking project under the NDA government. His rich experience in law making, policy framing and it’s successful implementation towards optimum results stood in good ground where he took landmark decisions as a union minister, resulting in recovery of huge public money and saved massive losses for the Indian Government. An expert in social marketing and well versed with political economy Shri Prabhu infused highly transparent functioning in all his ministries which saw increased levels of stakeholder participation in the administrative process. Innovation has been a hallmark of his activities. A few innovations like the Parivartan Kendra (centres for transformation), in rural areas for holistic development drew widespread acclaim. Shri Prabhu pioneered the compilation of all Government schemes in a book form for the benefit of rural people. Shri Prabhu introduced landmark legislations in the power sector ( Electricity Act 2003), Energy Efficiency, Environmental issues( Municipal Solid Waste, Medical waste), Chemical Weapons etc Shri Prabhu has represented his constituency for four consecutive terms as Member of Parliament and has been a part of many important committees and forums of parliament. He has led many successful delegations and is widely recognized as one of the best performing MPs in the Indian parliament. His career in the co-operative sector has spanned various sectors, global geographies and various roles which peaked when he became the youngest ever chairman of the largest urban co-op Bank in India, the Saraswat Co-op Bank Ltd.
Shri Prabhu is actively involved in several global working groups in the field of Energy, Economy, Water, Agriculture and Governance and has been connected with several global networks. He was selected as Youth elder of Asia at IYY. He has been an advisor to UN organizations. A voracious reader and an equally gifted orator Shri Prabhu has been a key speaker on important global platforms on a broad spectrum of subjects. 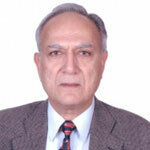 His articles have been widely published in prestigious global publications. 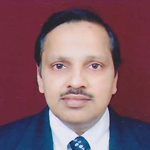 In gratitude to the academic world Shri Prabhu has been teaching in MBA programs, law course as a visiting professor in many institutions and is also an Adjunct Professor at National Institute of Advance Studies( NIAS). His decades of untiring performance in public life has helped Shri Suresh Prabhu with a deep understanding of the dynamics of private, public, co-operative, social sectors at local, national and global levels. A firm belief in the power of rural India has seen Shri Prabhu investing decades of toil at the grassroots to bring a holistic model of development using low cost and participatory models to help transform backward and rural regions. Having already trained 56,000 under privileged for self employment he has now set his sights on working towards 100000 more to be trained for self sustenance. He is connected with over 100 organizations and NGOs engaged in rural development, education, health care, vocational training, music & arts, old age care, infrastructure, watershed development, farmers, youth, sports administration, industry organizations, employees welfare etc. A widely traveled person he has visited over 100 countries and has personally visited over 80% of the districts of India. His blazing track record of achievements and milestones has been aptly dotted with numerous domestic and global awards and recognition. 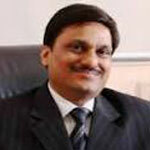 Mr. Satish Bansal, Managing Director of M.D. Overseas Group graduated from the prestigious Shri Ram College of Commerce, University of Delhi and joined the family business in the year 1976. A strong believer in leading by example, he honed his business acumen by working in Hong Kong from 1980-85. 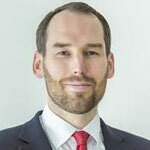 He has a strong disciplined approach towards work that offers a great motivation for the workforce. With his rich experience of almost 4 decades, he is a leader in true spirit. His knowledge is not only limited to the intricacies of the bullion industry but is an expert in all fields – administration, legal matters, accounts and finance, income-tax, financial and risk management. It is his utmost dedication, hard work and passion for his work that have led the Group to stand where it does. 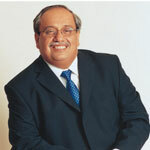 Mr. Mehul C Choksi has been associated with the gems and jewellery industry for over three decades. He has wide experience in the diamond industry having an exposure to the entire range of activities, from buying roughs to jewellery sales. He has been instrumental in branding jewellery in India and has launched several successful brands like GILI, D’Damas, and Giantti. 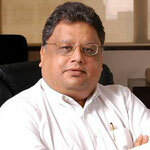 He plays a crucial role in deciding the positioning for brands such as Nakshatra and Asmi. 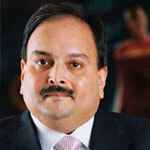 He has also been a pioneer in corporatising the jewellery industry in India. He has been on the committees of the Gems and Jewellery Export Promotion Council of India besides holding several other key industry positions. He steers the group vision and strategy with his deep knowledge and foresight. Mr. Pankaj Parekh, a Bachelor of Engineering (Mechanical) of 1967 batch, belongs to a family of jewelers of several generations. 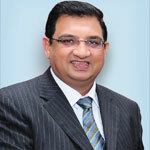 Mr. Parekh switched over from an Engineering profession to the parental business in Jewellery since 1988. But instead of venturing into local business he started his business of jewellery in exports only. Mr. Parekh is the first person to be elected from Eastern India in the year 1997 in the Central Managing Committee of The Gem & Jewellery Export Promotion Council, set up by Ministry of Commerce, Government of India. 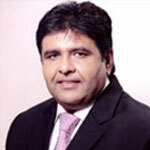 Since then, Mr. Parekh had held several posts in the Central and Regional Committees of the Council, and is the current Chairman of the Eastern Region. Mr. Parekh accompanied as a member of the delegation led by the then Chief Minister of West Bengal, Shri Jyoti Basu and Shri Somnath Chatterjee, MP and Chairman, West Bengal Industrial Development Corporation Ltd.(WBIDC) in June, 2000 to Israel where the seeds of “Manikanchan”, the Gems & Jewellery Park were sown by him in the minds of the Government of West Bengal. He was subsequently inducted as a member in the Board of “Manikanchan” the Gem & Jewellery Park by W B I D C in 2001 and has played a key role in the creation of “Manikanchan” which was inaugurated on November 18, 2003. Mr. Parekh has also led, or been member of various Gems & Jewellery Industry delegations, organized by the Council to Countries e.g. Italy, Latin America, Bangladesh, Myanmar, Middle-East & etc. which includes attending of the BIMSTEC (Bangladesh, India, Myanmar, Sri Lanka & Thailand Economic Co-operation) meetings in November, 2002 in Sri Lanka and July, 2003 at Mumbai. Mr. Parekh was a trade nominee in the Board of BIS MTD 10 (Bureau of Indian Standards) for Hall Marking of precious metal jewellery under the Ministry of Consumer Affairs, Govt. of India. 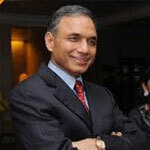 Mr. Pankaj Parekh is widely traveled and has great personal contacts over and above Italy, in most of the Countries in the West Asia due to his personal business. Mr. Pankaj Parekh is also the Chairman, Eastern Region, of the Indo-Italian Chamber of Commerce and Industry amongst others philanthropic activities. Associated with the Indian base and precious metals industry for over 20 years. 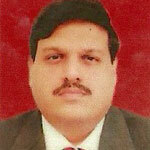 Is widely respected for his in-depth knowledge and understanding of commercial realities of the Indian bullion trade. MMTC-PAMP India private limited, the joint venture between MMTC, India’s largest public sector international trading company and PAMP Switzerland, worlds largest privately owned precious metals processing facility and Referee Assayer to the London Bullion Market Association (LBMA) has set up a fully integrated precious metals processing facility near Gurgaon, Haryana, which counts among the largest and most modern precious metal processing facilities in the world. 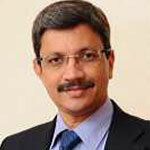 Mr. Mayank Khemka is the MD of Khemka Group of Companies . 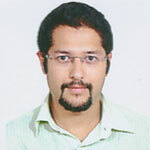 Mayank Khemka has done his MBA from prestigious IIM Lucknow . Khemka Group of Companies is one of the top business houses of the country with interests in bullion, commodities and real estate. 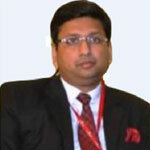 Mr. Mayank Khemka has an excellent reputation and impeccable track record in the bullion industry and has been instrumental in fast growth of the company and taking it to such heights to become one of the largest players of India.He is on the advisory panels of various committees of MCX,NCDEX and speaker at various gold conferences both in India and abroad. 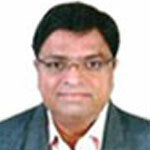 Mr. Mayank Khemka is also responsible for initiating the Group into the domain of Real Estate. 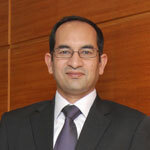 His vision includes catapulting the Group into the top companies of the sector by delivering quality supported by world class amenities.He has been a pioneer and has set up a world class refining facility of gold and silver in Uttranchal,Rudrapur and it is only one of the 2 successful refineries running in whole of India. 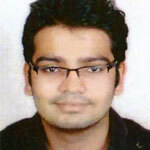 Mr. Sudip Bandyopadhyay is a qualified CA and a Cost Accountant. 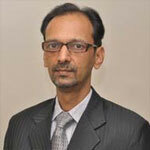 Sudip has over 22 years of rich & diverse experience in various areas of financial services. 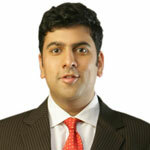 He has worked with reputed organizations like Reliance (ADA Group), ITC, ICI and HLL. 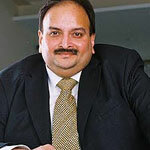 Under his leadership, Reliance Money had aggressively expanded its footprint in India and across the globe. Sudip was also instrumental in leading ADAG foray, amongst others, into Equity & Commodity Broking, Financial Products Distribution, Commodity Exchanges, Gold Coin Retailing, Money Changing and Money Transfer. During Sudip’s 17 years stint with ITC as head of Treasury and Strategic Investments, he managed investments in excess of Rs.4000 crores. 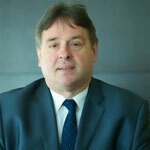 He was responsible for the acquisition of strategic stakes in EIH, VST and several other companies by ITC. 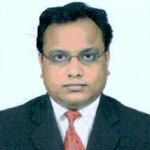 Mr. P. H. Ravikumar is currently the Managing Director of Money Matters Financial Services Limited. He was the Managing Director and CEO of National Commodities & Derivatives Exchange Ltd. (NCDEX) (2003-2008) and prior to that Senior General Manager, ICICI Bank Ltd. Mr. Ravikumar has over 37 years of financial services sector experience. 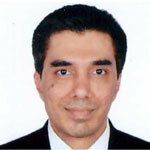 He is essentially a commercial banker with about 32 years of banking experience, spanning retail, corporate and treasury banking areas in India and abroad. 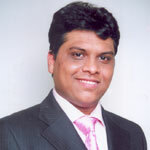 He is based at Mumbai and is a regular speaker at institutes of management and other professional forums. 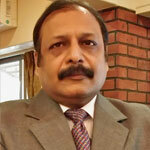 Mr. Gaurang Tripathi , 46 years, a Commerce Graduate from Mumbai University having pursued Management Studies from NMIMS. Started his carrier in the field of Automobile and moved on Automobile Finance where he headed an NBFC from 1990 to 2000. Involvement in the finance industry was the building block of understanding gold as globally at par currency product. 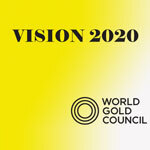 2000 onwards has been involved in setting up the Gold Refinery with particular focus on commercial operations. Involved in designing, implementing and executing all the commercial operating systems for the refinery and bullion trade over the years. Shouldering the responsibilities of procurement through international negotiations to sales through the trade channel furthered the all round experience. Having continued in the same line of business and in the same market environment has developed and maintained deep contacts with the international and local players. Have amassed hands on and in depth knowledge of this line of business and presently he is VP-Operations at Shirpur Gold Refinery Ltd.